Welcome Danielle, please tell us a little about yourself and your novels. Hello! Thank you for interviewing me on your blog, Katrina! This is my first author interview so I apologize if I’m too wordy. I live in the Philadelphia area with my husband, our two adorable pups, Grizzly and Dexter (they’re both shar pei mixes), and our kitty named Belle. I have a full-time job working as an office administrator for an insulation company. I’m obsessed with stories; ever since I was a young child, I loved to read and write. I’m also a bit of a movie buff! 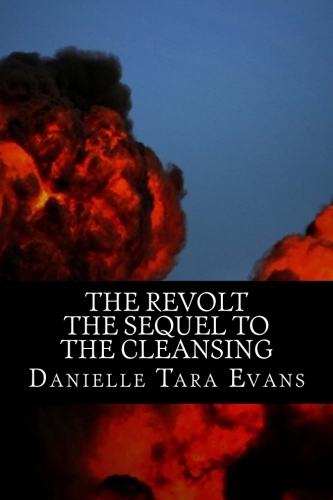 I currently have three novels out; the first one is Escalators, which is a dark psychological drama with a love story intertwined, and the other two are dystopian novels, The Cleansing and The Revolt: The Sequel to the Cleansing. Escalators is about a man struggling with depression as he deals with family issues, job issues, and falling in love with a girl he believes he can’t have. The Cleansing takes place in the 2040s, many years after a series of severe natural disasters that caused millions of deaths all over the world. Americans are now in the minority in the U.S., and when a new president takes office, he initiates a program that cleanses the country of its native people. The Revolt takes place over twenty years later and concludes the story. What inspired you to create The Cleansing? I came up with the idea back when I was in my sophomore year of high school. We were learning about all the different genocides that took place all over the world throughout history. It is such a disturbing topic, one that makes you wonder how humans can be so cruel to one another and how so many went on for so long before they were stopped. I then began to wonder if something like this could ever happen to us in the United States of America, one of the most powerful countries in the world. Today, it would be extremely unlikely. But in the future, if circumstances change, who’s to say it couldn’t? I wrote the first version of The Cleansing for my graduation project in high school, but I have since re-written it a couple more times. It has changed quite dramatically since the first version! To be perfectly honest, I haven’t been writing much lately due to some personal stuff that’s going on right now, but when I was really into writing my novels, I would try to set aside an hour each night to work on them. And on the weekends, I would usually spend quite a few hours writing. I tend to go through phases where I’m either writing a lot or I’m writing very little. When I’m writing a lot, the words just seem to flow out, and I often can’t wait to get home so I can get everything out of my head and onto my computer. I wouldn’t say I did a lot of research, but I certainly did some. I had to research the Holocaust and other genocides, plus I did some research on global warming. I used to write in my basement. I had my computer set up down there, and it was my own personal space to type up the stories that were running through my brain. My computer ended up dying so I got a laptop, and now I just write in the comfort of my own bedroom. This is an easy question. Writing the first draft is the best part. It’s definitely the most fun! Research gives me anxiety, and even though I don’t mind proofreading, the editing is the hardest part. I’m constantly doubting myself and driving myself crazy. I find it to be very stressful. Even after I publish, I will inevitably think of something I should have put in one of my books but didn’t. So then I feel compelled to add it in. I can’t seem to let them be! I would probably be Annie from The Cleansing. Not that I would want to be in her shoes, but out of all my characters, she’s the one that’s most like me. We’re both a bit co-dependent on our husbands, and even though we’re not tough girls, we’re stronger than we realize sometimes. I’m more of a planner; I often outline what I’m going to write before I write it. But I don’t always follow it very strictly. As any writer knows, sometimes the characters and the stories take on a life of their own and go in directions that we weren’t expecting. 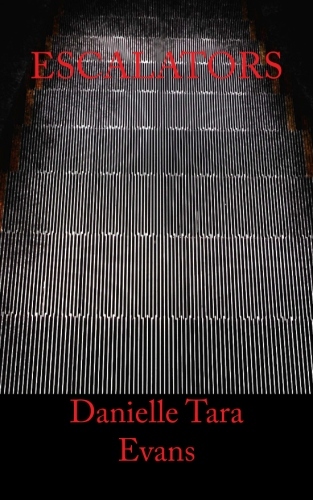 I really enjoyed writing about Jason in Escalators. Even though it was hard to write about someone who was so depressed he was suicidal, I enjoyed writing about him as he came out of his depression. I liked seeing the person he became as he began to embrace life and find happiness. I like to write about dysfunctional families; most of my characters come from some form of dysfunction. I honestly think most people in real life do. I’d like to think it makes my characters more relatable and realistic. I’ve always been a fan of Stephen King and Dean Koontz, but lately, I’ve been reading more independent authors. There are a lot of great indie writers out there too! The best advice I’ve received is probably from my husband. He tells me to stop beating myself up all the time and to not be afraid to put myself out there! You run a Goodreads group tell us a little about it. I run a group called Swap Reviews. It was initially started by another author for people who literally wanted to swap reviews for their books. When she added me on as moderator, I created The Review Exchange for people who wanted to review a book and then get a review in return by someone else. (That way, there’s less direct review swapping, which is often frowned upon because it tends to be more biased.) But there were too many issues with people not reviewing books they signed up to review, so I created The Book Review Pool. In The Book Review Pool, you have to read and review a book out of the pool first, and then you can sign up for your book to be included in the pool. The group has gotten pretty active lately. I even had to add-on another moderator! The best advice I can give is to write because you enjoy writing. Write because you have a story you want to tell. Don’t expect your book to be a bestseller when you publish it, but don’t let that discourage you from writing either. And most of all, don’t worry so much if you get a bad review. Because most likely, you will. No matter what you do and how hard you work on your book, someone will find fault with it. It won’t be for everyone, and that’s okay. There will be some people who will enjoy it, and even if it’s a small number, there’s still something special about sharing your work with others. So just write what you want to write (rather than write what you think will sell), and if you’re too embarrassed to show it to people you know, then use a pen name. I still wish I had used a pen name! Thank you Danielle for taking time to do this blog interview, it has been a fantastic pleasure to hear about your novels. I wish you all the success with all other writing projects you may undertake in the future. Below is the links to where you can find out more about Danielle and her book. ← Interview With Anne Hamilton Author Of A Blonde Bengali Wife..
Hi Katie and Danielle, Thanks for a fascinating interview. I loved reading about the inspiration behind Danielle’s novels which sound really interesting. Thanks too for the encouraging writing advice. Thanks, me too. I really enjoyed reading Danielle’s interview and writing advice. It’s always a pleasure to read about writing experiences. I always enjoy finding out about how and where people enjoy writing. Each person has their own unique way and place.